Millard Loy, age 75 of Kalamazoo died at his daughter’s home with his family by his side on Friday, July 7, 2017 after a yearlong battle with cancer. Millard was born on July 15, 1941 in Watseka IL to Elmer and Lena Loy. On November 23, 1961 Millard married the former Madelyn Ann Johnson who survives. Also surviving is his beloved daughter and son-in-law Ann and Robert Steffler of Schoolcraft, his two grandchildren: Katelyn and her husband Chase Jones of Middlebury IN and Matthew Steffler of Schoolcraft and his great granddaughter who called him Poppy, Alexi Jones. 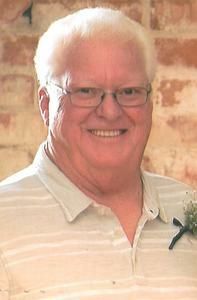 Millard worked for 39 years at Deleiden’s as the service manager. He also owned Loy’s lawn care for 25 years. He was active in the community and served on several boards in Oshtemo Twp., was a member of their fire department and was President of the Oshtemo Historical Society. He loved camping with his friends, collecting antiques and just life itself. Other surviving members of his family include his brothers Merwyn and his wife Karen Loy and Maynard and his wife Sharon Loy, a brother-in-law Hardy Johnson, a sister-in –law Ila Grissom, several nieces, nephews and cousins. Cremation has taken place and a gathering to celebrate Millard’s life will be held on Sunday, December 10 from 12 Noon-3 PM at the Oshtemo Community Center, 6407 Parkview Avenue; Kalamazoo. Memorial contributions may be made to Hospice Care of Southwest Michigan or the Oshtemo Historical Society. Arrangements by Betzler Life Story Funeral Home, 6080 Stadium Drive; Kalamazoo 375-2900.